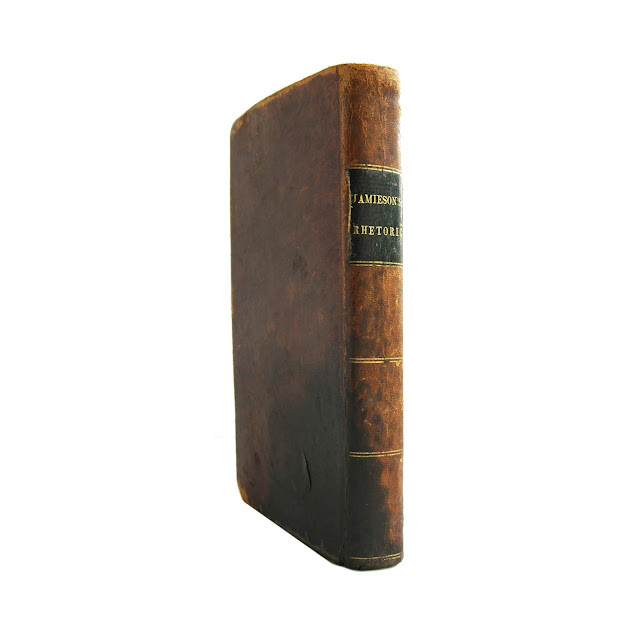 Alexander Jamieson was a Scottish writer and schoolmaster, now best known as a rhetorician. Jamieson was the author of two highly successful grammars: A Grammar of Rhetoric and Polite Literature (1818, at least 53 American editions) and A Grammar of Logic and Intellectual Philosophy (1819 and at least ten American editions). 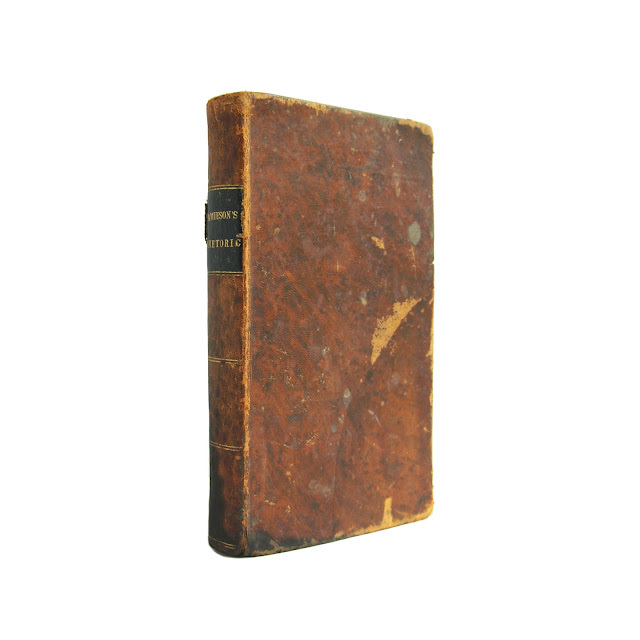 This edition of "Rhetoric and Polite Literature" is bound in full brown leather. 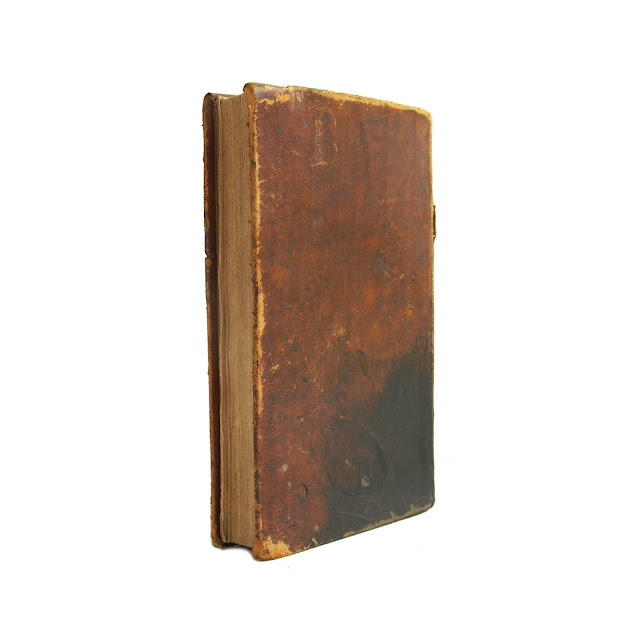 The binding shows stains and wear, heaviest at lower rear. 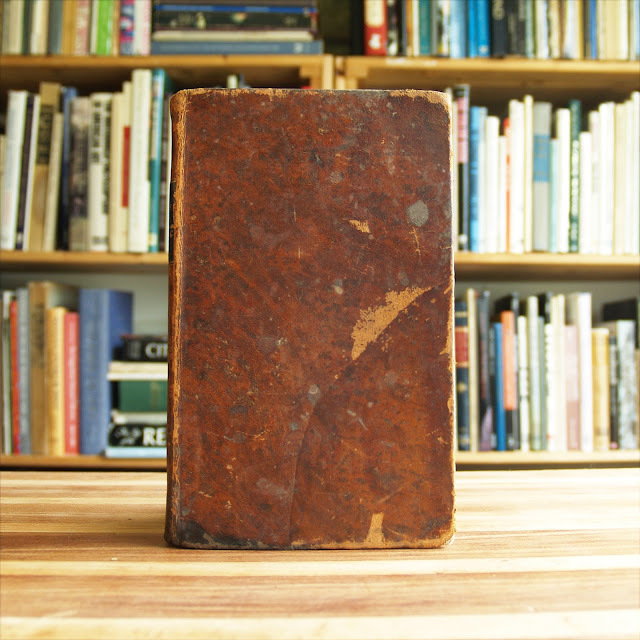 Leather spine label is intact. Gilt trim on spine. 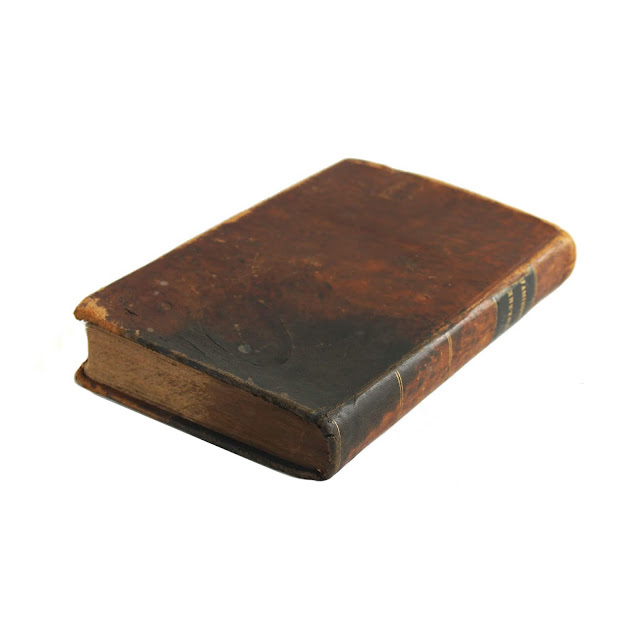 Foxing, water stains, some writing within. Fair condition. 306 pages; approx. 4"x7".